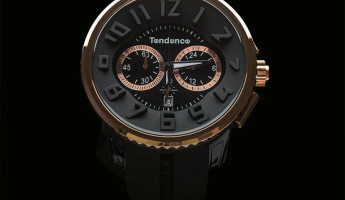 Tendence Watches – The modern timepiece is perhaps the most expressive item in a man’s wardrobe. 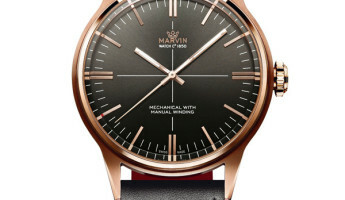 Where men’s fashion is usually conservative and subtle, the modern watch is the one element that is allowed to stand out. 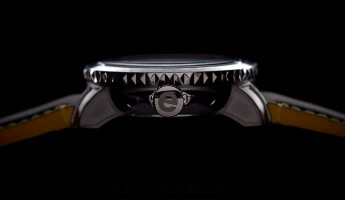 Beyond the blazer and the button-down or the t-shirt and jeans, the watch is an item that reflects who we are as men. It is complex, reliable, masculine and refined, and it is an oft-overlooked aspect of a man’s style identity. 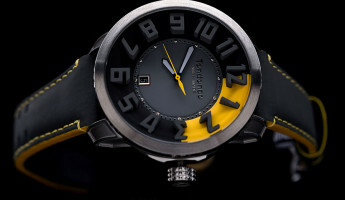 We here at TheCoolist and our friends at Watchismo.com will be exploring the world of modern men’s watches starting with a collective favorite, the contemporary Swiss watch brand Tendence Watches. 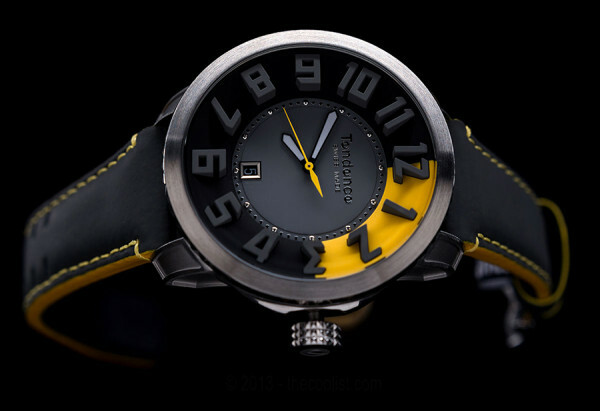 Typically, combining the terms “contemporary” and “Swiss” is a costly endeavor. 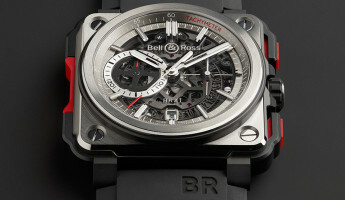 Some of the finest watches in production today hail from Switzerland, and their prices can range into six figure sums. 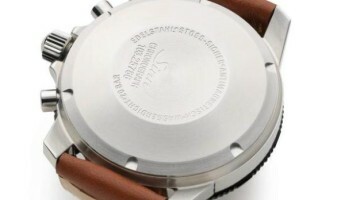 Yet there are companies like Tendence who produce contemporary watches in an accessibly-priced package. 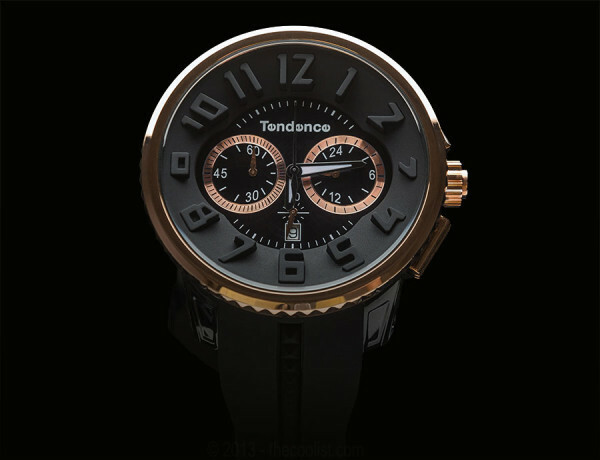 Instead of commanding a second mortgage, a watch like one of these from Tendence can be had for between $200 and $1,000 at retail. In our eyes, design and quality are more meaningful than the price tag, making Tendence a very desirable option. 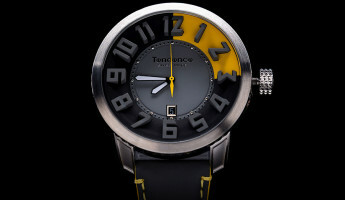 The design philosophy of Tendence Watches focuses on “big, bold and progressive” characteristics. 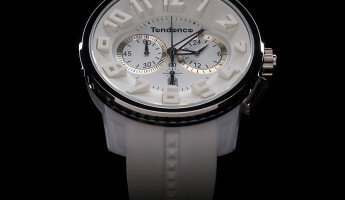 Each Tendence watch features a large, circular case, spanning as much as 50mm as shown above. In terms of height, the top of the crystal sits rather high on the wrist, thanks to a deep and dramatic dial with bold, raised numbers. 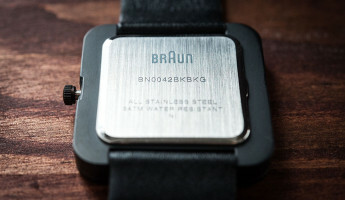 The watch bands are either formed silicon or leather depending on the model, and they attach to cases that are either combined steel and polycarbonate, full steel or titanium. 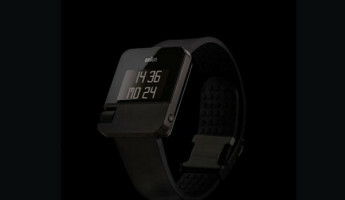 These watches are built tough, and they have a solid weight to them on the wrist. 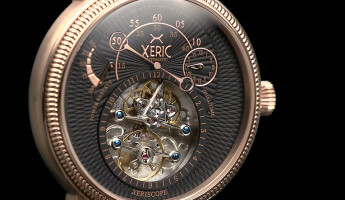 The signature element of these watches is the dramatically-raised numbers skirting the dial. 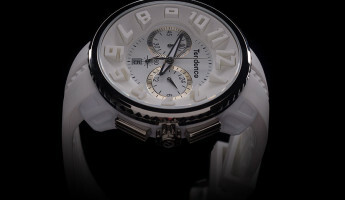 They give the watch a well-defined depth that stands out when viewed, making an impression on wearer and admirer alike. 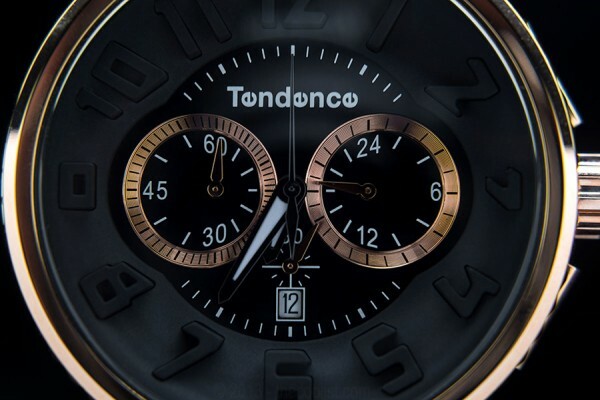 In the Tendence Gulliver Round line, the numbers on either side of the central dial melt out to make room for a pair of secondary dials. 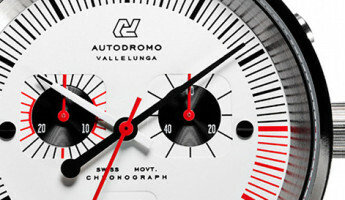 As shown below, this yields a progressive look that doesn’t take away from the bold nature of these signature numerals. 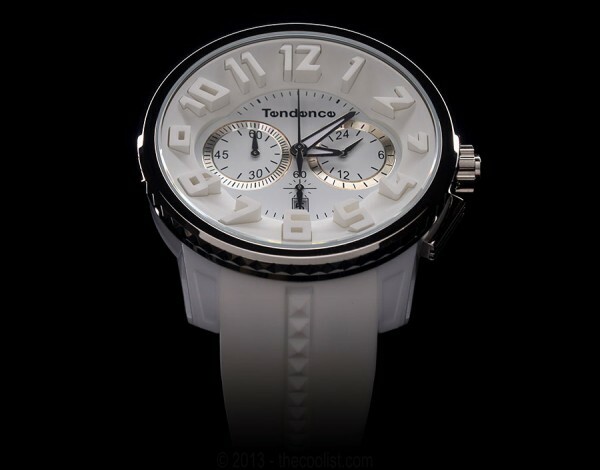 In total, Tendence Watches make for strong statement pieces in terms of design and build quality. 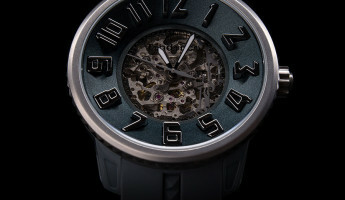 The bold characteristics of the dial, the contemporary design sensibility and the accessible pricing deliver an attractive option for a watch buyer. 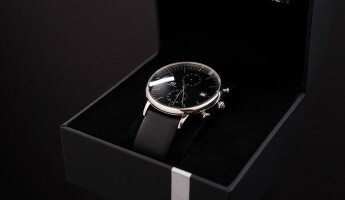 Our heart is set on the Black and Rose Gold Gulliver Chronograph, our favorite of this collection. 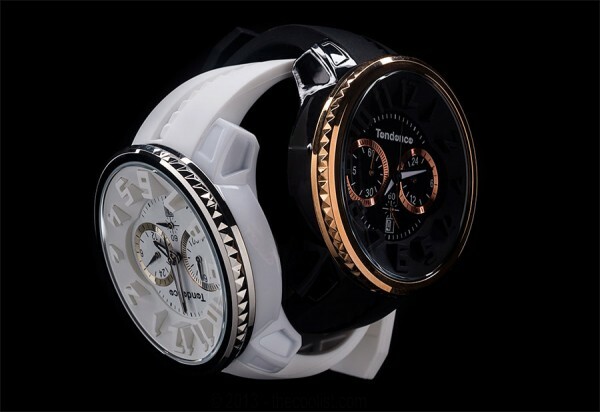 Be sure to check out an extended selection of Tendence Watches from our friends at Watchismo, and stay tuned for more in-depth watch reviews here at TheCoolist.